Leading a happy life in the middle of all the hustle and bustle of a city isn't any piece of cake. The hectic schedule spares none. Even the couples do not get to spend some quality time with each other. But whenever you decide to take a break, the city of dreams makes sure that you have the best time in the world. Mumbai hosts a myriad of beautiful Resorts around, each claiming to render the best quality time! Dune Barr House ? 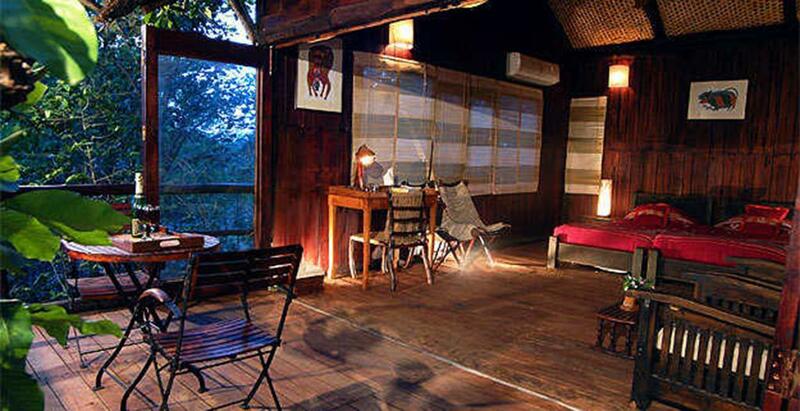 Verandah In The Forest is the place for you if you are fed up with city life. Located slap bang in the middle of nature, this resort will provide you with uninterrupted views of the Matheran Hills. Originally a 19th-century mansion, the place resounds with cultural heritage.There are only 11 rooms, but no matter which one you get, you are sure to be transported back in time. Don't worry about getting bored here either as the resort arranges loads of fun activities including trekking, bird watching, and horse riding. Dune Barr House is located in Matheran, 53.1kms from Mumbai. In the day today, when one decides to get out of the city, nature is the first thing which pops in mind. Deservingly so, as it promises the best heal to city wounds. 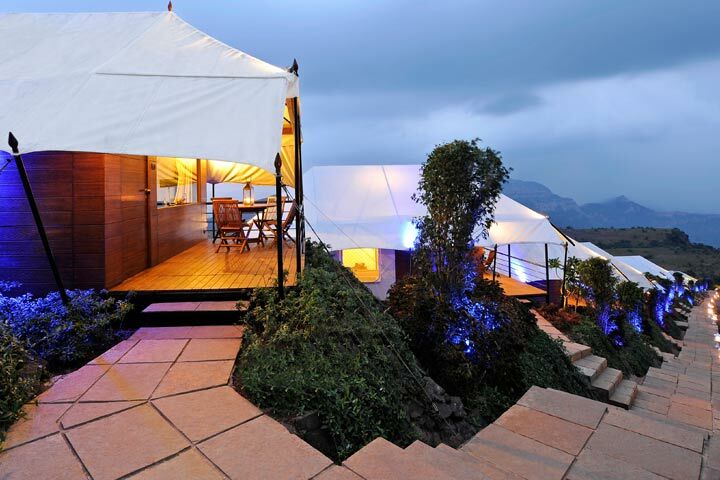 Machan Resort is one such resort in Lonavala. There are three categories in which the Machans are divided: Forest Machan, Heritage Machan and Canopy Machan. Each Machan is well equipped with modern facilities and with 100% use of natural resources, which lures a traveller to come here even more. 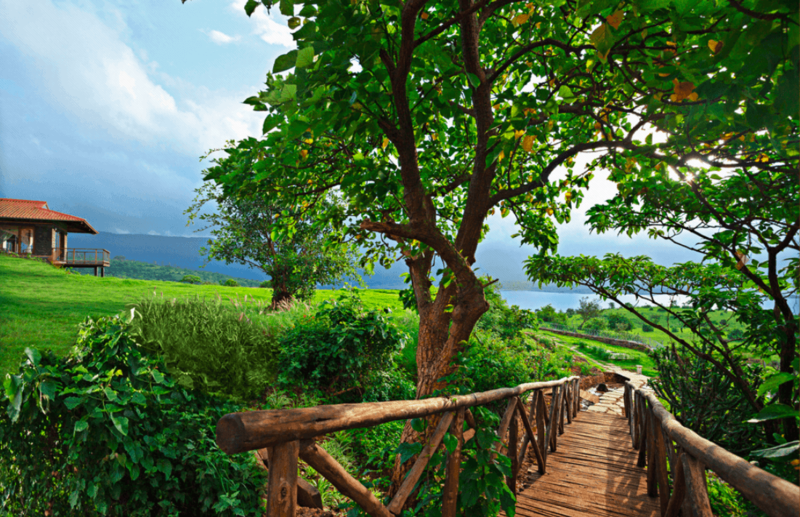 This one-of-its-kind green paradise is just 97 km from Mumbai. 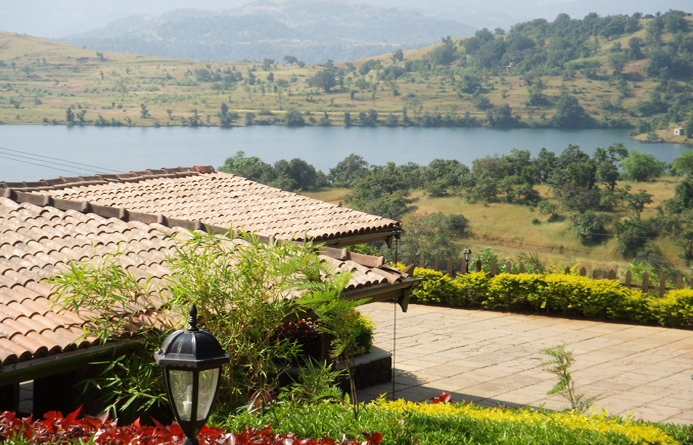 Amanzi is a luxury resort that overlooks the Pavana Lake. 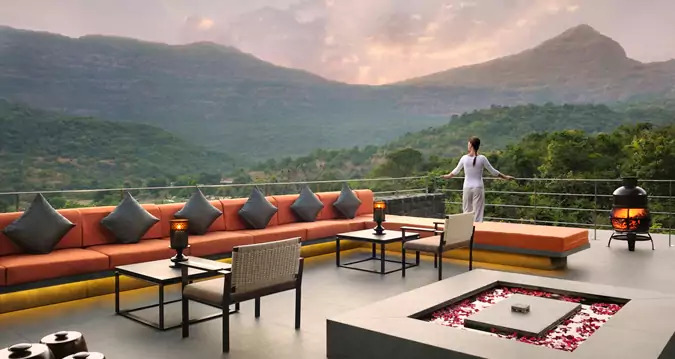 Considered by many to be one of the best places to stay in Lonavala, be prepared to be blown away by the modern architecture, scrumptious food, and breathtaking views. The cosy rooms with wooden interiors and sprawling windows are the perfect place for you and your partner to spend the weekend off. 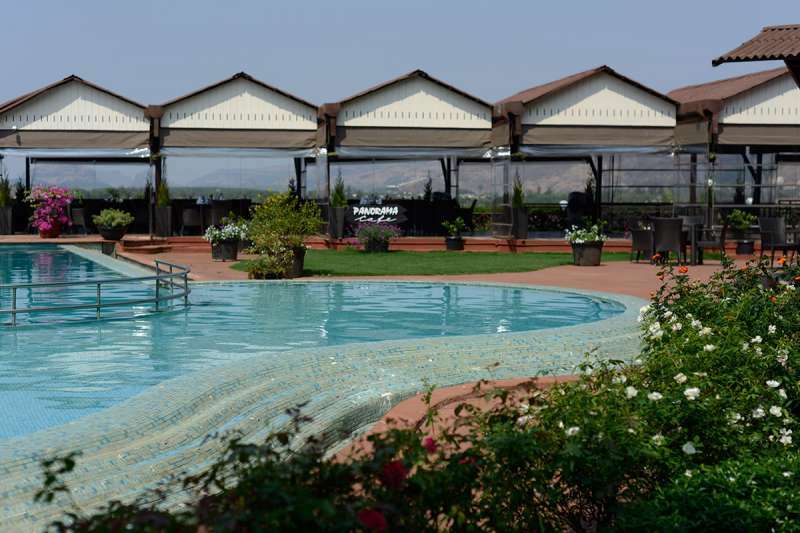 Amanzi is located in Lonavala, 121.8kms away from Mumbai. Anandvan Resort is a 4-star resort that offers various types of villas and cottages nestled in the middle of nature at 2800ft. It overlooks the lovely Lake Arthur Hill. Being an eco-resort, there are no motorized activities here so expect your time to be peaceful and relaxing. 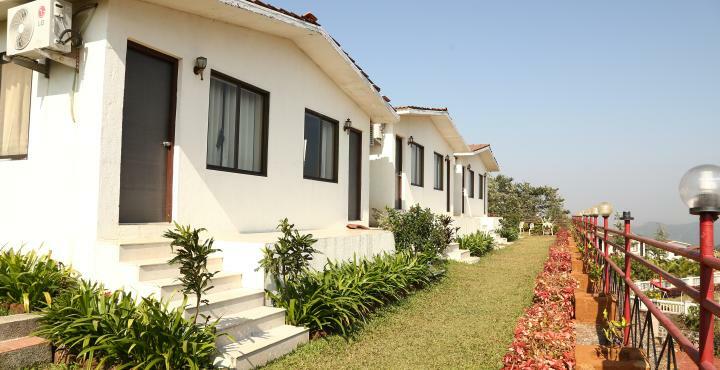 Anandvan Resort is located in Bhandardara, 159.8km from Mumbai. 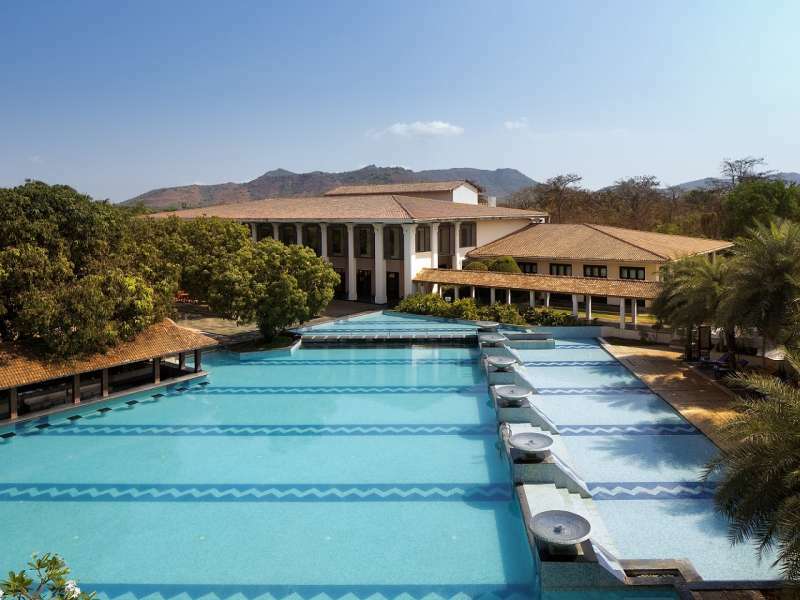 Le Meridien Mahabaleshwar Resort & Spa covers 28 acres of a densely forested area in the Mahabaleshwar hill station. One of the highlights of this hotel is its enormous infinity pool that looks over lush greenery. Here, spectacular views are combined with spectacular design. The attention to detail is incredible. Being a French hotel chain, this resort provides top-notch food and hospitality and is absolutely perfect for you to bring your loved one. 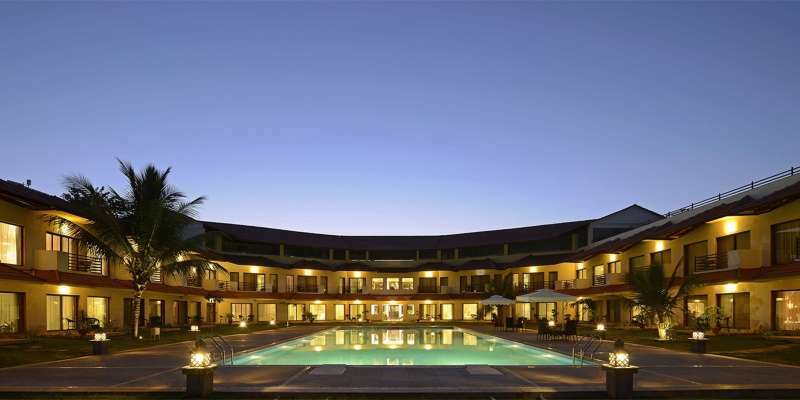 Le Meridian is located in Mahabaleshwar, 260.2kms from Mumbai. Amidst the Sahyadri mountain range, this hill city is where opulent luxury meets tranquil nature. You and your partner will have a hard time running out of things to do here as Aamby Valley hosts an 18 hole golf course, water sports, skydiving, and even a Broadway-style theatre. There are also multiple restaurants serving up cuisines from all over the globe. Whether you want to spend your holiday relaxing at the spa or jumping out of planes, Aamby Valley has it all. If you and your partner want to relax in peace but also seek some adventure, Della Resort in Lonavala is undoubtedly the best around Mumbai. There are a plethora of adventure activities including flying fox, bungee jumping, paintball, zorbing, etc. This luxurious stay with spacious rooms equipped with modern amenities is situated 84 km. 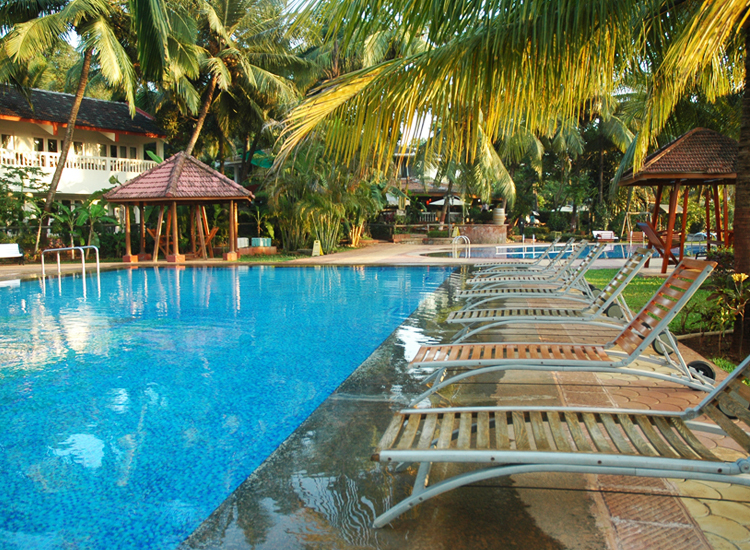 Tropicana Beach Resort is located at the edge of a perched precipice in Alibaug at a distance of 88 km from Mumbai. The accommodation is divided into three categories: standard, deluxe and super deluxe rooms. Well-appointed with modern amenities and is decorated with a contemporary style which makes it one of best romantic destinations near Mumbai. Its other facilities include gaming, jogging tracks, wellness spa, etc. This legendary five-star stay is filled with comfort, modern day amenities, natural beauty, and recreational activities and proudly boasts to be amongst the best near Mumbai. When you want to relax and get away with the hectic schedule, think no more and head towards the Fariyas Resort in Khandala. 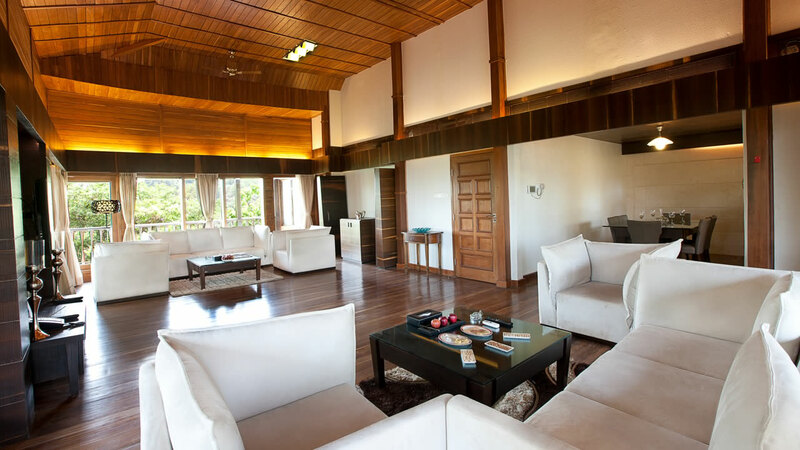 At a distance of 84 km from Mumbai, this beautiful abode is built in a contemporary style. The rooms are aesthetically designed and well-furnished to suit modern taste. The lavish restaurant ?Fusion? serves a delicious meal, and the bar ?Tavern? is the bar which renders some nice spirits. At 2500 ft from the ground level, in the lap of lush green mountains lie the tranquil and serene Upper Deck Resort. From this elevated level, the Valvan Reservoir and the Rajmachi Fort in Lonavala can be easily viewed, and it essentially creates a picturesque landscape. It is one of the best honeymoon resorts with a distance of 104 km from Mumbai because of its secluded location with minimal disturbance. One of the major features of this Resort which makes it a lover's paradise is the giant heart-shaped swimming pool with an open-air Jacuzzi which gives you a breath-taking view of the valley. Massage Room, indoor games, nature walks and children's playground are other features which make it one of the best romantic destinations near Mumbai. Ravine Hotel is a great option if you hate having to say goodbye to your pet whenever you go on holiday. This time, bring him or her along as this hotel has a completely pet-friendly option, cosy, heated outdoor tents with all the necessary amenities. Located in the Mahabaleshwar, you'll get to experience stunning scenery while you wind down and relax. If you're not particularly fond of animals, don't worry as the hotel has separate rooms for you as well. 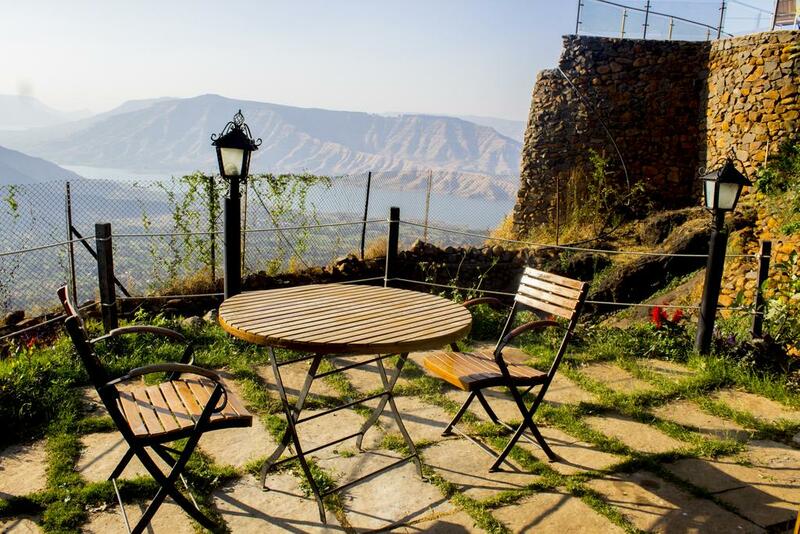 Ravine Hotel is located in Panchgani, 240.1km away from Mumbai. A branch of the internationally renowned Hilton chain of Hotels and Resorts, The Hilton Shillim is expected to be excellent just by virtue of if its name, an expectation that it sure lives up to. 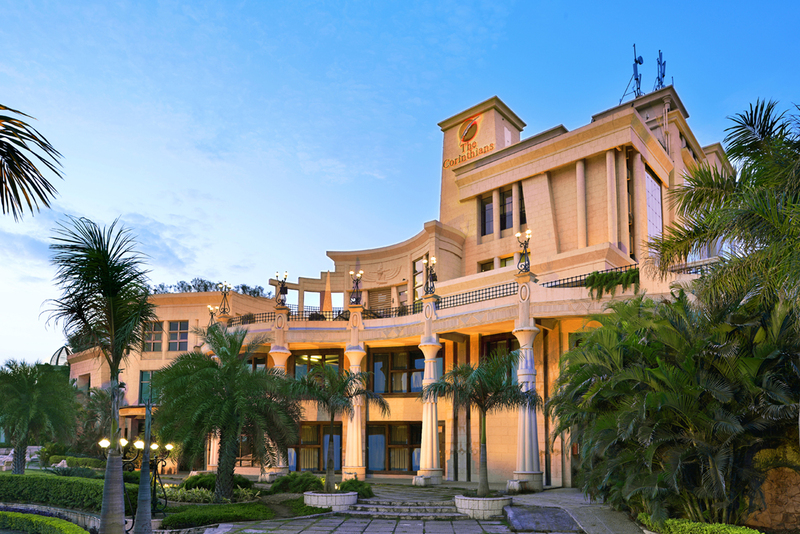 The resort has won multiple awards for having the best spa in all of Asia. Apart from the exceptional spa and outstanding views, the resort offers a plethora of couple's activities including yoga, star-gazing and even cooking classes. Treat your significant other to the love they deserve by bringing them here. 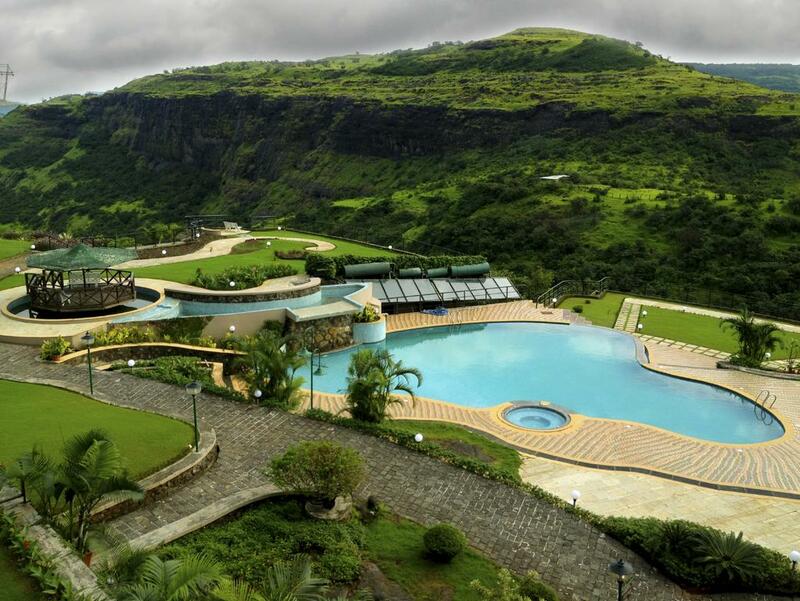 The Hilton Shillim is located in Shilimb, 111.9km away from Mumbai. Lonavala. 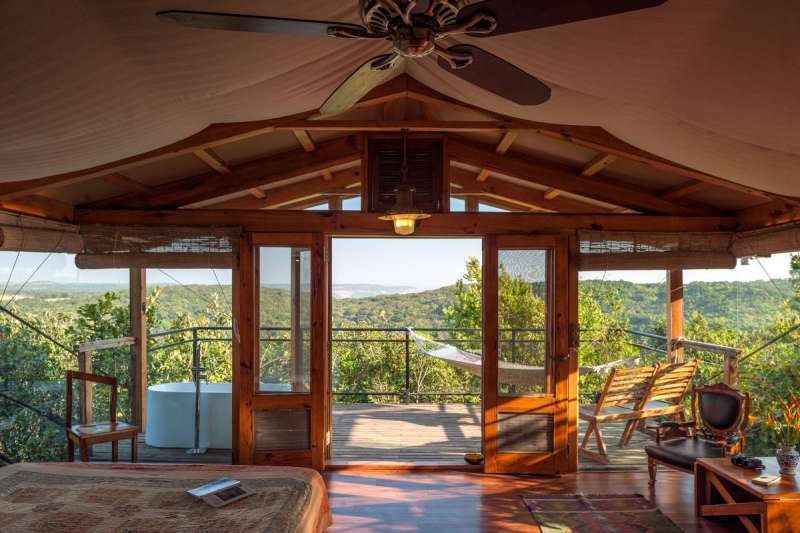 Situated on the edge of a precipice that is 500 feet above the ground, this stay will rejuvenate you with the breathtaking landscapes and some tranquillizing beauty. Filled with peace and comfort in your heart, you can also enjoy the modern facilities that are rendered here. There is an abundance of rooms here and also houses some excellent cottages. The cottages include living room, bedroom and a courtyard. It offers other luxurious features like a swimming pool and a wellness spa. At a distance of 92 kms from the capital city of Maharashtra, lies a 16 Acre Kingdom of green flora flourishing on the historical ruins. This recommended couple getaway is fledged with 5-star amenities like fully furnished contemporary style rooms ranging from Superior Rooms to Presidential Suite, fine dining restaurants such as Aparanta and Kokum & Spice, The Lounge Bar, discotheque, piano bar and whatnot. If you ever feel wearied by the bustling city life and have a desire to relax like kings and queens, drive to Alibaug, and enjoy your long lost dreams. This can be like your two-three day trip with your partner where you can also enjoy the natural and historic beauty of Alibaug at nearby attractions such as Harnai Fort and Fish Bunder, Kolaba Fort, Janjira Fort & Beach and Kankeshwara Temple. The Treasure Island Resort is spread over an area of 8.5 km with a large variety of accommodation. The accommodation is categorised in Lagoon Villa, Deluxe Suits, Executive Stays and Economy Room. A lagoon surrounds every villa and is connected with a verandah where you can sit with your partner and enjoy the view of the lagoon. Exquisite patios, bathtubs, spacious rooms are the prominent features of the accommodation here. There are two restaurants: 'Hide Out' and 'Baywatch Branto' which provide a scrumptious meal for the travellers. 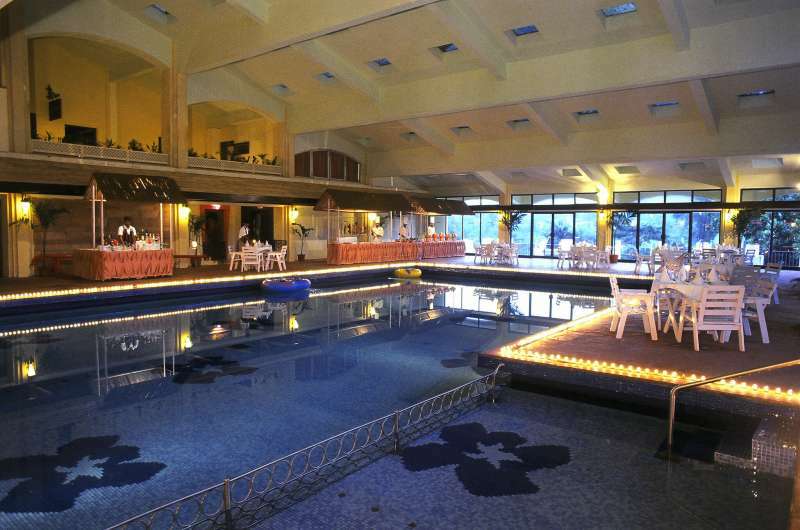 The resort boasts a big swimming pool playground for kids, wellness centre and a sauna. It is situated only 91 km away from Mumbai. The Velvet County Resort & Spa is located in a private valley of Khandala. Built in 1991, this three-star resort has 37 well-furnished rooms bathing in modern facilities such as spacious rooms, balconies with beautiful views, swimming pool, gardens, fully equipped gyms and jogging tracks. It also has the restaurant Farmer's Kitchen which offers both Indian and international cuisines.Velvet Country Resort & Spa resides in a splendiferous valley of Khandala, located at a distance of 90 km from Mumbai. As the name suggests, it lies in the proximity with the nature in Kashid, hence offering absolute beauty, peace and comfort. Kashid is a sea village near Mumbai at a distance of about 100 km and is a perfect getaway with your partner. Snuggled amidst a blanket of green forest, this 4-star luxury resort boasts a rich scenic beauty. Accommodation is categorised into two types: apartments and villas. There are other VIP Villas and executive villas to choose from if you are on a business schedule. Other rejuvenating facilities include a lavish restaurant, giant swimming pool, gaming zone and an in-house bar. Nestled amidst the lush greenery and tranquil stillness of nature, the Cloud 9 Hills Resort is situated on the Aamby Valley Road, about 8 km from the Amba Valley. It is located at a lofty height of 1500 ft, which makes it a prominent destination for travellers if they are seeking a quiet rendezvous with nature. Any traveller going to Amba Valley will stop here if a luxurious stay is needed. It is best for a weekend getaway when couples want to spend some alone time together. To get away from the maddening Mumbai life, there cannot be a better place when it comes to choosing a weekend getaway for couples. Snuggled in the quaint village of Mandawa, this luxurious retreat lies on the Arabian seaside. 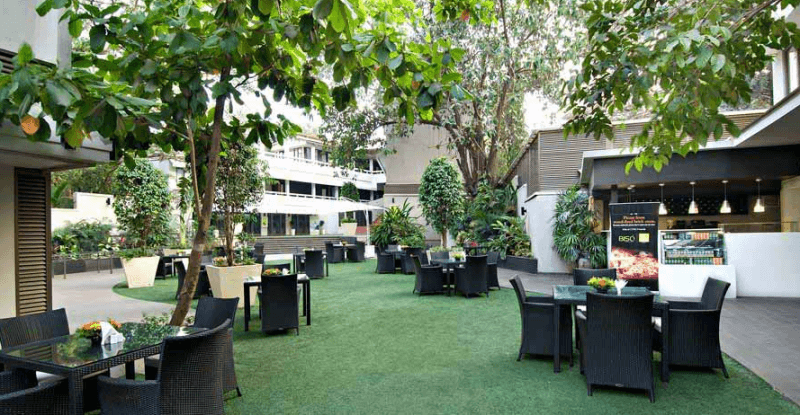 There is no way that you won't like chilling in the pools, lazing the sun and feeding on absolutely luscious food without any tension of your office work. 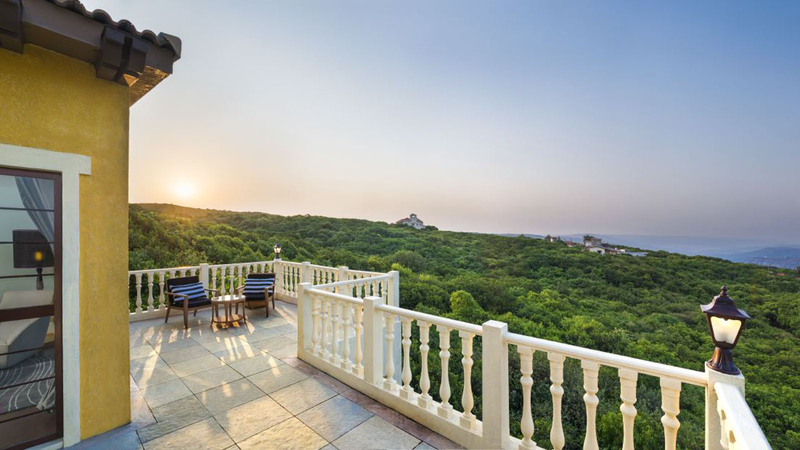 Another enticing feature of this getaway is that you can take a ferry ride from Gateway of India to reach Mandawa jetty and 7 minutes from jetty reach this luxurious villa. So if you ever feel a need to escape the vicious hullabaloo of the city life, pack your bags and drive to one of these resorts within no time. Mumbai has a boon with such natural attractions near its geography and man has left no possible way to make it cosier. 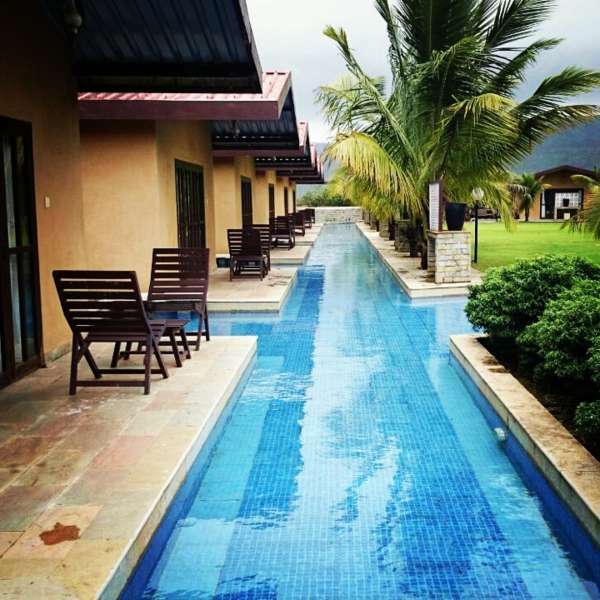 And therefore, resorts near Mumbai form a perfect getaway, especially for couples who wish to spend some time with the enchanting beauty of nature.